Mortgage interest rates have moved upward again. Last week, the 30-year fixed rate was 4.375% and today it is at 4.5%. Will we reach the 4.75% that rates were at on September 18th? Will we go even higher, into the 5% range and beyond? One economist brave enough to forecast the future says yes. In fact, he expects mid-2014 to see 5.5%, at the least. 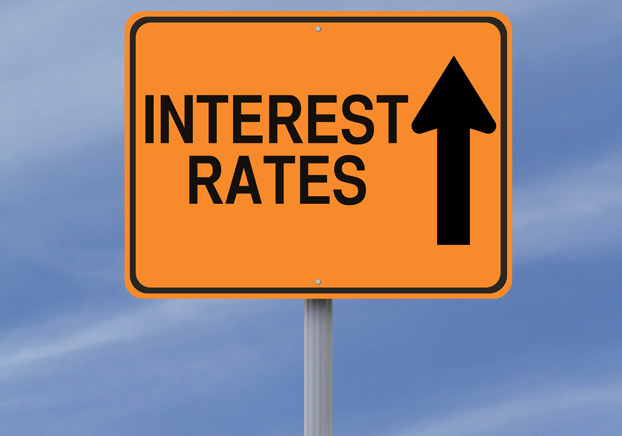 As we receive good news about the U.S. economy, rates continue to rise. Of course, the chart looks like a zigzag, because rates do not increase in a straight line upward. But looking at the overall trend, we do see an upward track. All eyes will be on the Employment Situation Report to be released later this week. If you have a loan in progress that is not locked in yet, you are taking a big gamble, because the trend is not your friend at the moment. Locking in your rate secures a specific rate and protects you if rates go up. To lock in your rate, you must have a fully executed purchase contract, because a rate lock is tied to a specific address. If you are still house shopping, you cannot lock, unless your lender offers the rare “lock and shop” program. When you ask your loan officer to lock in your rate, you must also ask for a written confirmation of the lock. An email confirmation is sufficient. Keep this confirmation! Too many home buyers have been burned when a lock officer failed to honor their rate lock request. Verbal promises mean nothing in the land of mortgage loans. Only what is it writing stands. So make sure you receive confirmation of your rate lock, the expiration date, and any points (dollar amount) you’re paying. If you’re getting a no-point loan, the lock should state a zero fee. If you have friends or colleagues who are interested in buying a house or refinancing, please feel free to refer them to this blog information. This post is not a prediction of interest rates, only a commentary on the apparent trend. It is not advice to lock or float. You and only you are in charge of deciding what interest rate you want to accept and lock.